We have written a number of times about the idea that task killers on Android do not help battery, no matter what that carrier rep who sold you your new phone has told you. In general, most of us look at Android as a multi-tasking platform that likes to have activities in the background to make your phone perform faster and more efficiently. By constantly killing off apps, you are working against what the OS is trying to do, hence the reason task killers are evil. On the flip side, there are Android users who continue to believe that task killers are helping their phone no matter what we or a variety of devs tell them. They are addicted to killing apps and have convinced themselves that it will only help out the battery technology from 1952 that is stuck in their phone. To settle the argument once and for all, PCWorld took to their “labs” to test a handful of phones and decide once and for all if task killers will extend the life of your phone. The verdict? They won’t. According to their results, HTC phones saw upwards of 17 minutes of extra battery life with a task killer, but I think we can all guess why. Sense has more background syncs and tasks running than any other skin on the planet and probably could see some benefits to killing off tasks from time to time. Funny thing there, is the fact that in Sense 3.5, HTC built a task killer into the OS. 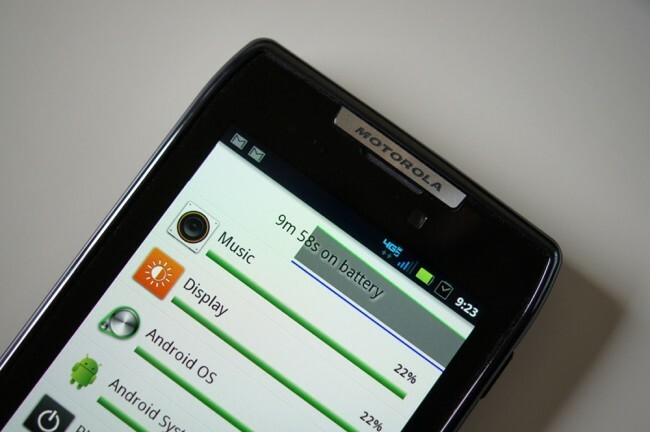 The Bionic did not see a difference and maintained the same battery life it had without a task killer. The Galaxy S2 on the other hand, saw slightly worse battery life with a task killer. So, as the Android dev community has been trying to tell you since the introduction Froyo, a task killer is not helping you. Stop using one to try and extend battery life, and get back to enjoying your phone.